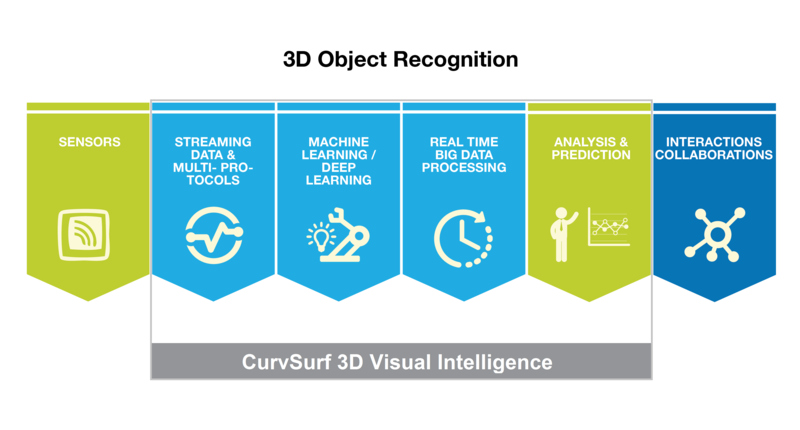 CurvSurf develops and distributes real-time 3D object/geometry recognition, measurement, and extraction SDK for 3D imaging/measurement applications for tablets, mobile and 3D scanning devices. Unlike many solutions, CurvSurf’s FindSurface, using innovative geometric abstract based algorithm, can handle 3D image processing in dynamic real world environment with significantly faster speed. 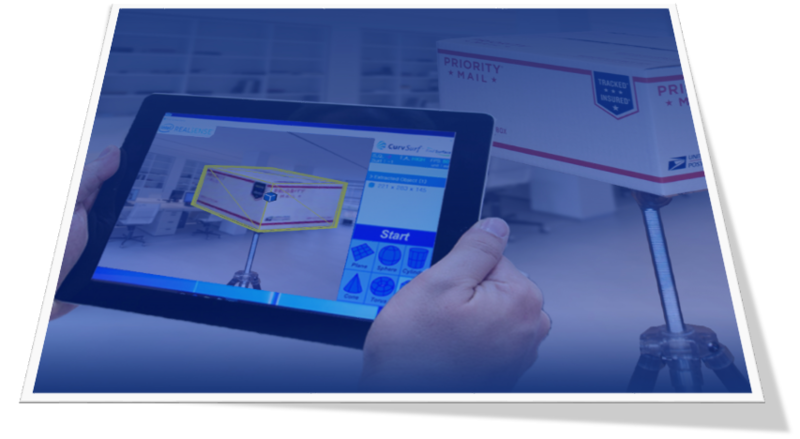 By using FindSurface, users can rapidly develop solutions for automated 3D geometry recognition, measurement and tracking applications. Its fully automated object detection and parameter estimation software can create clear images with accurate dimensional measurements instantly from large volume of image data in unordered, incomplete and error-contaminated point cloud. Our solution enables point cloud data from Cameras, UAV, Satellite, Aerial & Industrial Scanners, Robots and Handheld devices to automatically extract 2D/3D primitives in real time. This is a revolutionary technology that can be extended to a robust perception technology for pre-defined object identification and localization with “human-like” robustness. Supported geometric features are Cuboid, Plane, Sphere, Cylinder, Cone, and Torus with geometric parameters such as 3D position, Orientation, Size, Radius, Volume, and etc. Applications include Reverse Engineering, AR (Augmented Reality), Robot Vision, Logistic Managements, Deep Learning, Collision Avoidance, UAV, Autonomous Car, and any 3D object recognition applications which needs “Human-Like” robust perception. The core architecture consists of three algorithmic modules, allowing for object identification, point segmentation, and model fitting. Orthogonal distance fitting (ODF) algorithms estimate the model parameters by minimizing the sum of the squares of the minimum distances between the model feature and the measurement points. Curvature analysis of the local quadratic surfaces fitted to small patches of point cloud provide the necessary seed information for automatic model selection, point segmentation, and model fitting. Curvsurf offers a variety of software solutions for your specific needs. We utilize groundbreaking, abstract-based geometric algorithms to estimate a shape’s proportions based on a recognizable shape in REAL-TIME.